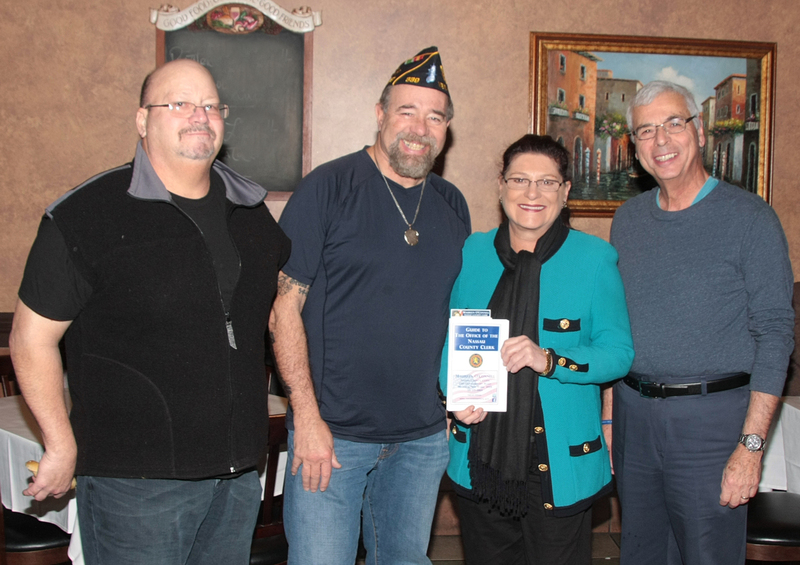 (Mineola, NY) Nassau County Clerk Maureen O’Connell was the guest speaker at the American Legion Lawrence-Cedarhurst Post #339 meeting on Sunday. Clerk O’Connell spoke with members about the services the Clerk’s office provides to the community including the processing and maintenance of the County’s land and court records. Another service discussed was the recording of Veteran Certificate of Release and Discharge (DD-214) papers free of charge. As an incentive for veterans to take advantage of this service, Clerk O’Connell talked about the Nassau Veterans Recognition Program which offers Veterans discounts at participating businesses throughout Nassau County for recording their discharge papers. Veterans were encouraged to file their discharge papers with the County Clerk. Clerk O’Connell also advised members about mass mailings for costly deed retrieval services, some of which cost 1000% more than the Clerk’s Office fees, and to disregard such offers. These deceptive solicitations advise homeowners they need to purchase a certified copy of their deed which actually can be obtained directly from the Clerk’s office for a nominal fee. She cautioned homeowners to be aware of other types of scams seen at the Clerk’s office and initiatives she has undertaken to assist and protect residents. Clerk O’Connell reminded the members to be wary of solicitations looking for any type of personal identifying information.